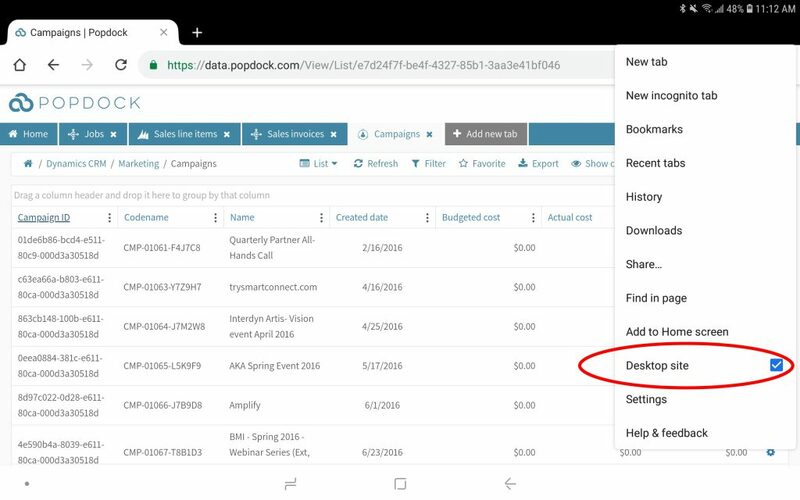 If you are using an Android device to access Popdock with a browser you may come across an issue where your list is not scrolling to allow you to see the full list. The steps below detail how to turn on the "Desktop site" option for your browser. 1. With your browser open and logged into Popdock. Click on the top right options menu to see the "Desktop site" option with a box for you to check. Once this is checked your list will scroll up and down like normal.